Ashlee is at the age that we call her a monkey. Having to turn chairs on their sides because she likes to climb on them proceeding to the table next! 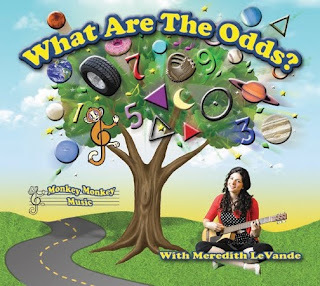 Five years ago Meredith’s debut album, Monkey Monkey Music with Meredith LeVande, became an instant hit with families nationwide, was a Parenting magazine “Pick,” and was in rotation on Sirius Satellite Radio, earning a grassroots reputation as a classic children's recording. 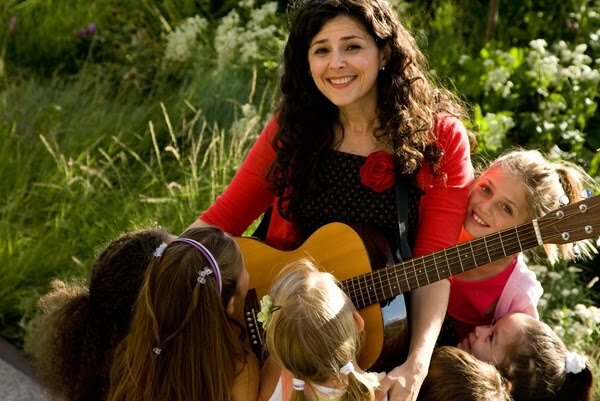 Meredith LeVande has, since 2005, devoted herself to performing for children in intimate settings, becoming a favorite among NYC area families and creating a repertoire that has grown organically due to her one-on-one interactions with children of virtually every culture imaginable. Tanya Peila and Meredith LeVande are giving away the NEW Monkey Monkey Music CD, "What Are the Odds?" Winner will be chosen August 1, 2010 (but will not be shipped until the 8/30 release date). PLEASE make sure you leave an email address where I can email your gift certificate to! I would like to win because I liked the songs I heard on Meredith's website and I know my daughter would too. My children would be delighted by this music. I am.